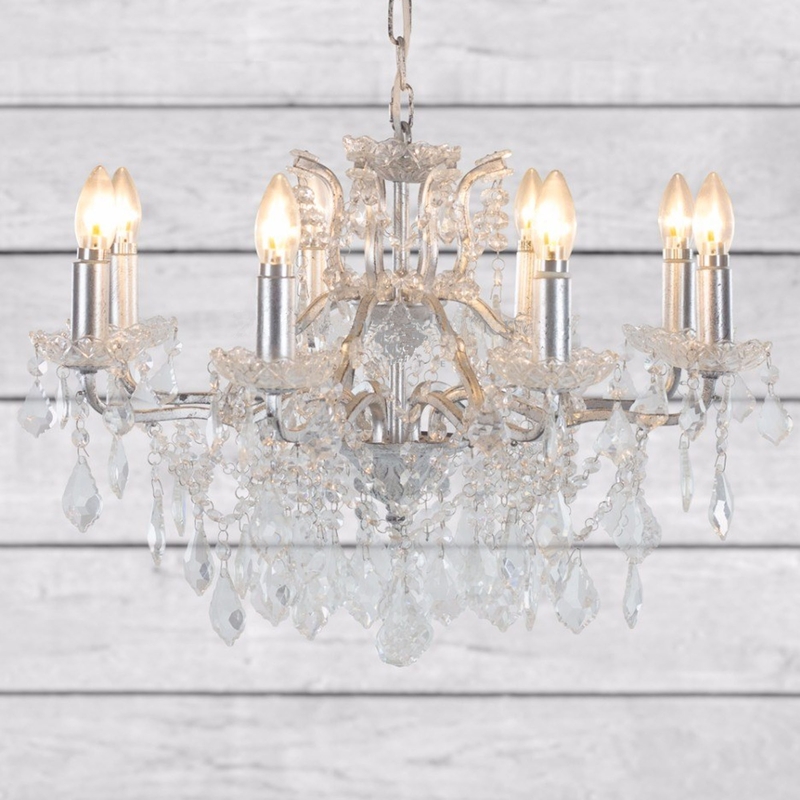 From our luxurious collection of chandeliers comes this elegant and luxurious Antique French Style chandelier. Finished in a stunning silver leaf and holding 8 light bulbs, this chandelier is sure to become the talking point of any room. Effortlessly spreading light throughout, the chandelier is perfect for anyone who wishes to add style and practicality to their home.